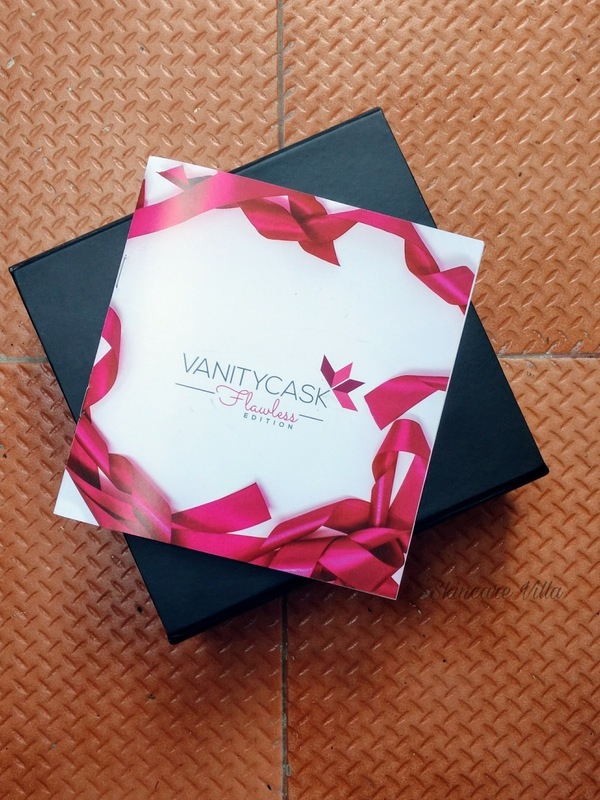 VanityCask is beauty box that gets delivered to your home. It contains samples of luxury beauty brands, handpicked by experts, to suit Indian women. The current box for June'17 is the VanityCask Flawless Edition. It is a culmination of brands like Vôtre, Comfort Zone, Gulnare, The Nature's Co. & VLCC and aims to bring the gift of Perfect Skin to women across the country. 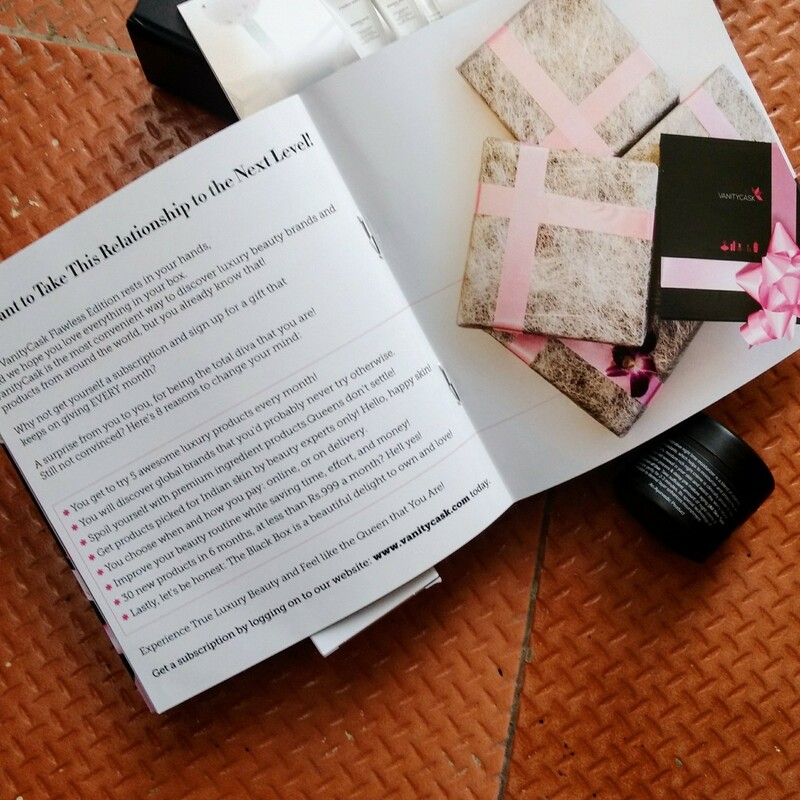 Our previous box was dedicated to a Luxury Spa Experience and contained 5 deluxe samples from leading brands like Vôtre, Soap Square, Thalgo, & The Nature’s Co. So without much of my blabbering let's get into the contents of the Flawless Edition. This nourishing cleansing milk is enriched with Almond & Indian Berberry extracts and Sandalwood oil that cleans, nourishes and heals skin, & helps balance oil secretion, dryness, pimples and dark circles! This lightweight day cream contains essential vitamins and minerals and aloe vera, that help to fight dark circles, wrinkling, and dryness. This cream will protect & soothe your skin perfectly! Get glowing skin with this highly effective mud face pack that acts as a beauty mask. This face pack removes toxins and excess oil from your skin giving you a glowing complexion! This luxurious moisture rich night créme is clinically proven to help increase cell renewal in your skin and assist the skin’s natural regeneration process & delays premature ageing! Sample skincare regimens from one of Italy's premium Skincare brands! Ranges: Hydramemory Range, Active Pureness Range, Absolute Pearl Range, Skin Regimen Range, Renight Range, Sublime Skin Range. 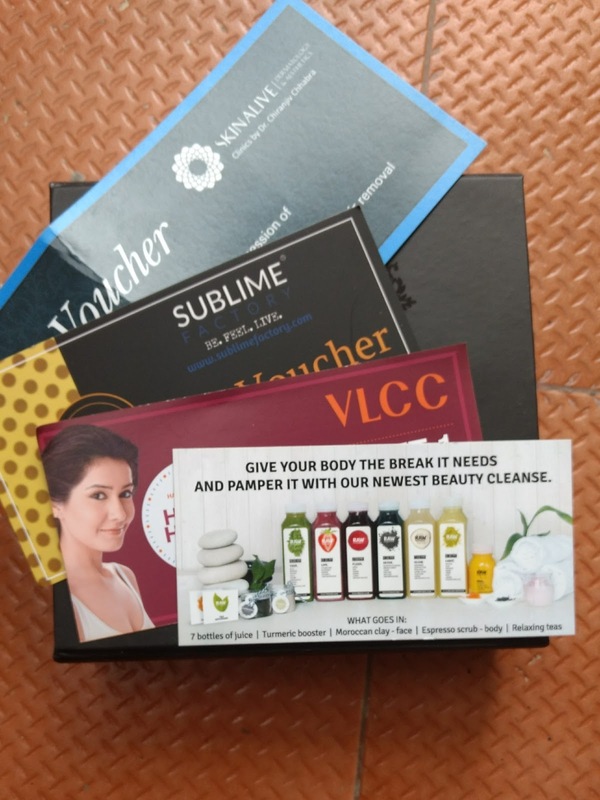 Also vouchers from Sublime Factory, Raw Pressery, Skin Alive and VLCC. I always wanted to try TNC Fuller's Earth Face pack and Gulnare Aloe Vit E Face cream. But due to their high price points I never tried them. With this edition of VanityCask, finally I have got to try both the products. As for VLCC Cleansing Milk, I already have purchased one and this box has kind of restocked it for me 😊. I have also reviewed the Votre Multi Vitamin and Rejuvenating Night Crème and feel that it is one of the luxurious skincare available today in the market. 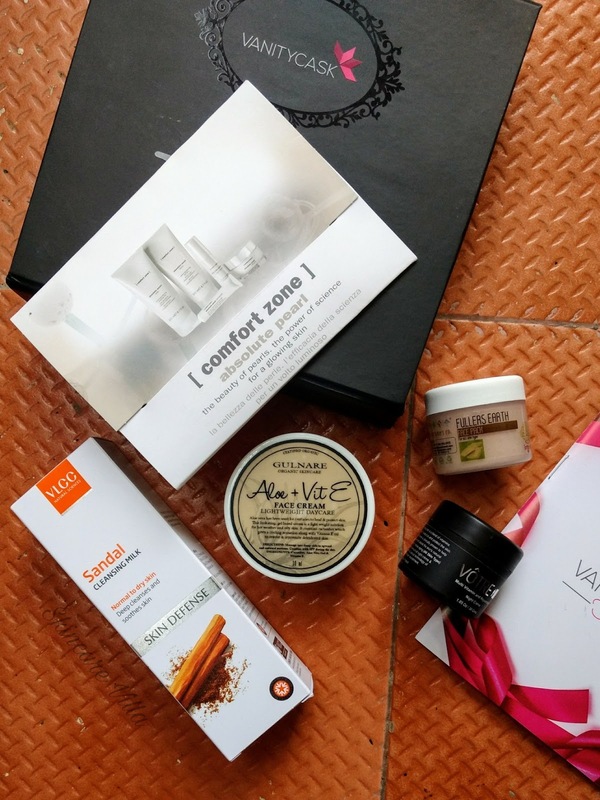 All the products in the VanityCask June Box of Flawless Skin Edition are worth the money. The products chosen are take care of all your skin needs, Cleansing, Rejuvenating, Day time and Night time care. If you see the above prices you can check that The Votre Night Crème has already covered the price of the box. Apart from that the Gulnare Aloe & Vit E Face cream is also the same case. Both these products are about half the quantity of full size and have already got you covered to give that flawless skin. So I would say Flawless Edition of VanityCask Box 2017 is, absolutely a value for money, box and goes on to give you that glow. Grab the box before it's gone.